Kristi completed her undergraduate degree in the Faculty of Land and Food Systems at UBC, studying First Nations traditional knowledge and environmental issues. She took a year off to coordinate a natural building and community art project in Stanley Park, and to study sustainable farming and permaculture in Australia and New Zealand. 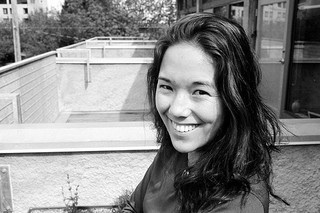 Kristi completed her Master’s degree at UBC’s School of Community and Regional Planning, where she focused on sustainable urban design and participatory processes. Upon graduation, she worked for the Design Centre for Sustainability at UBC on community-based design and planning processes with local governments. Following this, she was a planner/design consultant for Smart Growth Advisory Services working on Official Community Plans for rural communities. She joined CALP as a Research Scientist, where she worked to advance the use of visioning tools in climate change planning with local governments and citizen groups. Kristi established her consulting business in 2012 and recently worked on regional climate change adapatation strategies for agriculture in the Peace River, Cowichan Valley, and Delta regions of BC. In her spare time, Kristi enjoys hiking, camping, gardening, cooking, preserving food, running, swimming, cycling and yoga. She lives in Vancouver, BC with her husband, 2 year old daughter, two cats and 3 chickens.